A surfer at Higgins Beach in Scarborough on Wednesday. 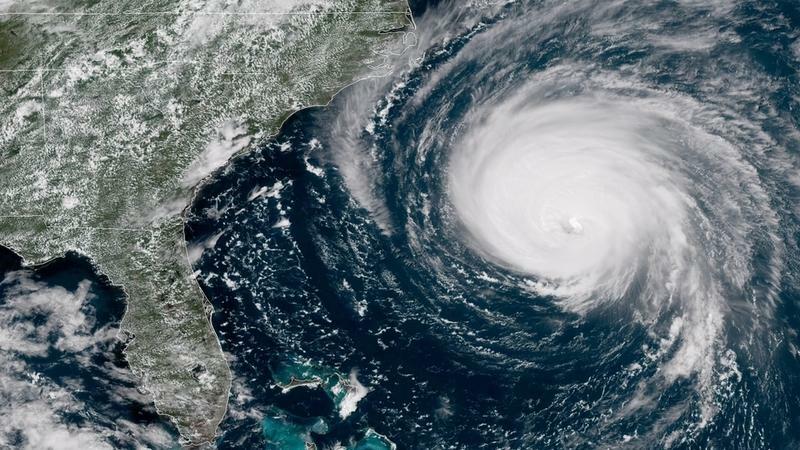 As Hurricane Florence bears down on the coast of South Carolina and thousands are being evacuated in what has been called “the storm of a lifetime,” hundreds of miles north, Maine isn’t feeling much of an impact. One particular effect from the storm is emerging along Maine’s southern coast — an increase in surfing. Surfers often gather at Higgins Beach in Scarborough in the fall and winter, when the waves are bigger — but they’re turning out this week to take advantage of a particular weather event. “This hurricane is bringing in a perfect swell for short boarders,” says Nick Anastasi, one of dozens of people who have come in search of slightly larger waves than usual. Anastasi drove up from Boston with a friend and hit the beach by 8 a.m. He explains that the weather patterns churned up by Hurricane Florence create solid wind conditions here in Maine, which slows down the waves. “Which makes for a nicer ride. Today we’ve a bit of a crosswind, but you don’t want it to be blowing right in your face, because then it’s just closing out the waves,” he says. Surfers at Higgins Beach in Scarborough on Wednesday. Maureen Furlong, a nurse anesthetist from Maine, is less focused on the weather phenomena as she walks out of the surf, sets down her board and sits right on the edge of the water. “I’m out here today to enjoy some waves, because most of the summer’s been flat and I just happen to have the day off,” she says. 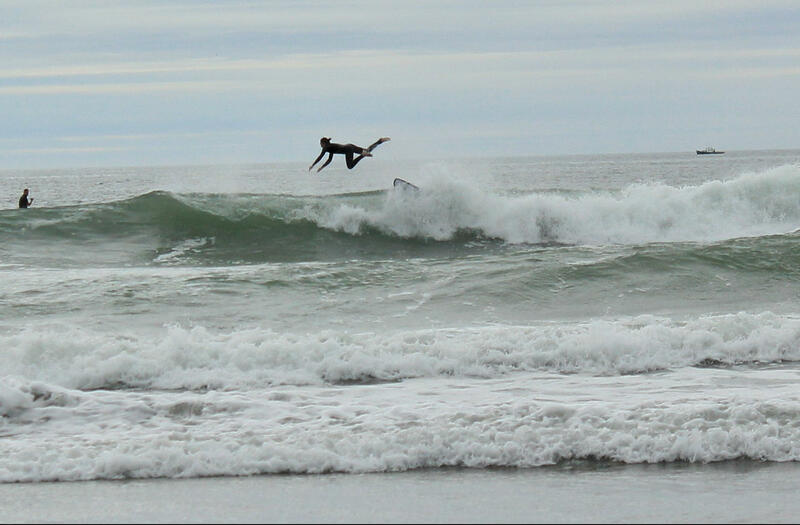 Furlong is likely to be joined by other surfers at Higgins and other spots along the Maine coast. If weather patterns hold, they say they expect good waves to continue for the next couple of days. Originally published Sept. 12, 2018 at 4:07 p.m. ET.